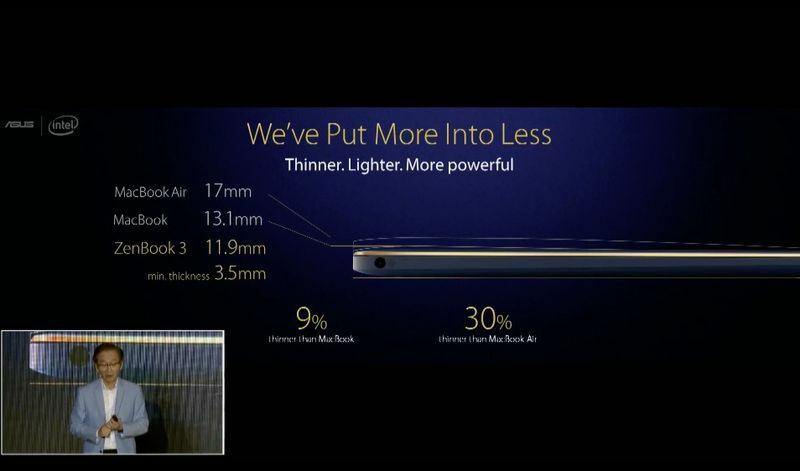 Asus ZenBook 3: Thinner & Lighter Than Apple’s MacBook: Asus has announced its new notebook which is lighter in weight and beast in performance as compared to Macbook and Macbook Air that is new ZenBook 3, It is 11.9-millimeter notebook Asus calling this “The World’s Most Prestigious Laptop.” Asus Chairman Jonney Shih while giving specification of ZenBook 3 on stage at Computex comparing it directly to Apple’s MacBooks which promising an aluminum alloy device that weighed less than Apple’s lightest laptops, and a processor that is two times faster than MacBook. Shih also said the ZenBook 3 was “the best of both” MacBook and MacBook Air, being lighter and thinner than the former, and more powerful than the latter. It’s less than half inch and the most premium series of Asus incredibly thin (.47 inches) and light (2.0 lbs), if we talk about colour it will be available in 3 attractive colors that is Quartz Grey, Royal Blue and the most trending color Rose Gold. Two phase anodizing process is used to create attractive golden highlights on the diamond-cut edges. 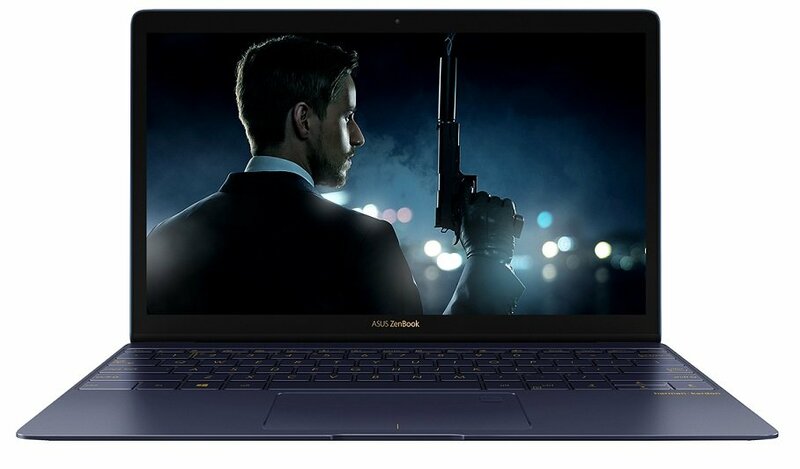 It’s battery backup as well as charging is awesome ZenBook 3 provides almost up to nine hours of battery life for all-day computing and takes only 45 minutes to charge up to 60% with the fast charging technology. It’s user interface will be powered by Windows 10 and for security there is built-in fingerprint reader allows for secure login with Windows Hello and will be powered with up to i7 processor. The body of the laptop has a full size keyboard, a glass covered touchpad, and a fingerprint reader that supports Windows Hello to make logging in possible without needing to type in your password. 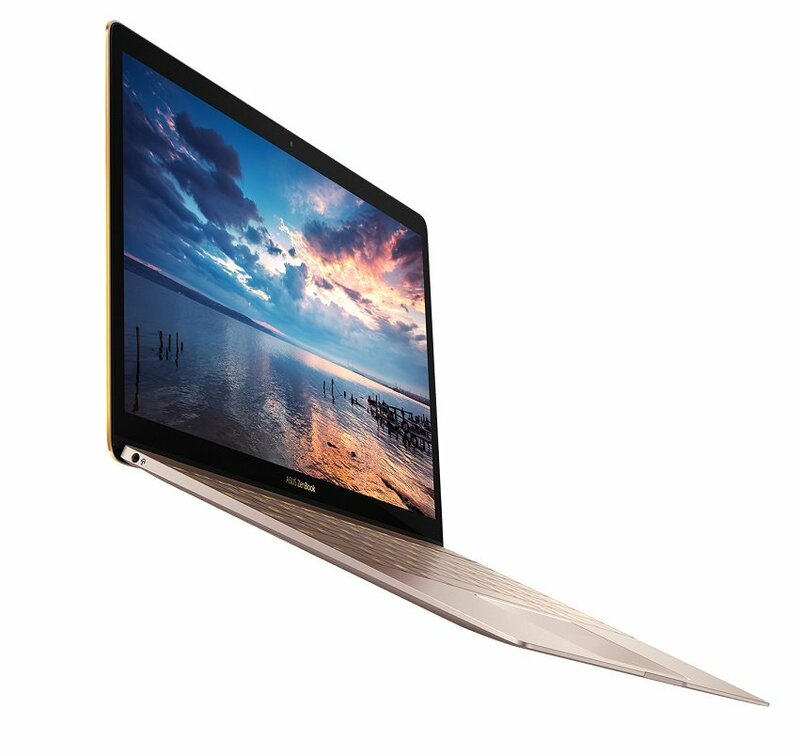 The ZenBook 3 will also feature the company’s highest screen to body ratio of any of its laptops that is 82%. Screen is 12.5 inches, and is coated in gorilla glass. As according to the news it will be available in the market in Q3 this Summer starting at $999USD.